We’ve reached Siem Reap and Angkor Wat, a very fascinating old Khmer Empire temple and Cambodia’s main tourist attraction. It is also a UNESCO heritage site and draws tourists from all around the world. 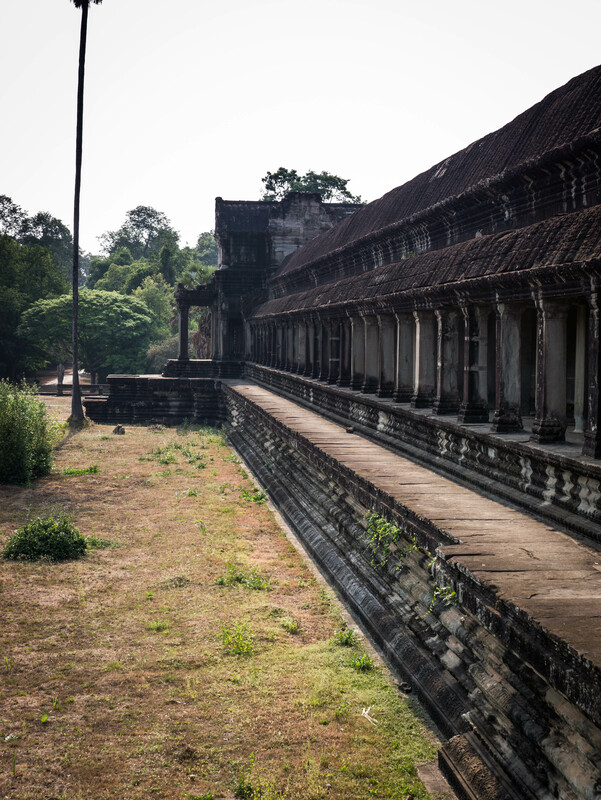 The Khmer Empire was the dominant force in Southeast Asia for hundreds of years until the 15th century when the capital of Angkor was captured by the Ayutthaya Kingdom. 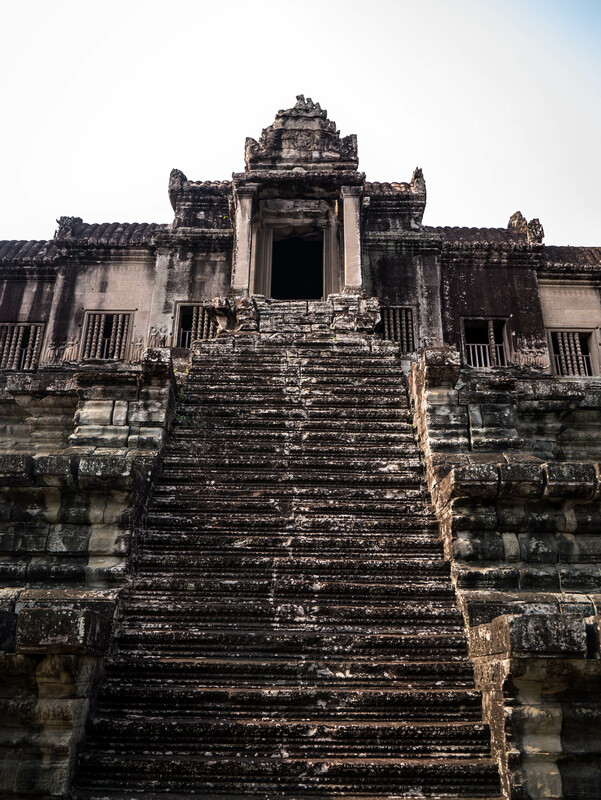 Things went downhill from there for the remnants of the Khmer and Cambodia as a whole, as the region was repeatedly conquered, exploited, vassalized and colonized for the next 400 years by Siam (Thailand), Vietnam, France and the United States. That is where I will stop with respect to recent Cambodian history, only to say that we have seen very few old people here. Such wonderful people, and so welcoming, but there is an undeniably tense feeling that hangs over everything. The country is advancing quickly due to investments from the outside world, and this trip would have been ill-advised, if not logistically and physically impossible on our rigid bike frames, only 15 years ago. Anyways, the last few days have been an interesting, trying at times, experience to say the least. 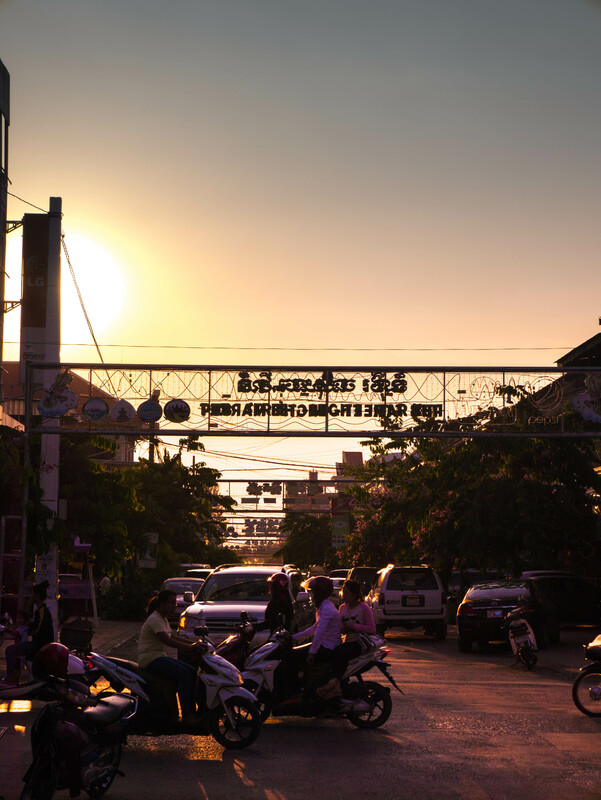 As we’ve gotten further from the border, the more we have sunk into rural Cambodia and a first-hand, lung, and mouth experience with this country’s dusty, blisteringly hot summer months. 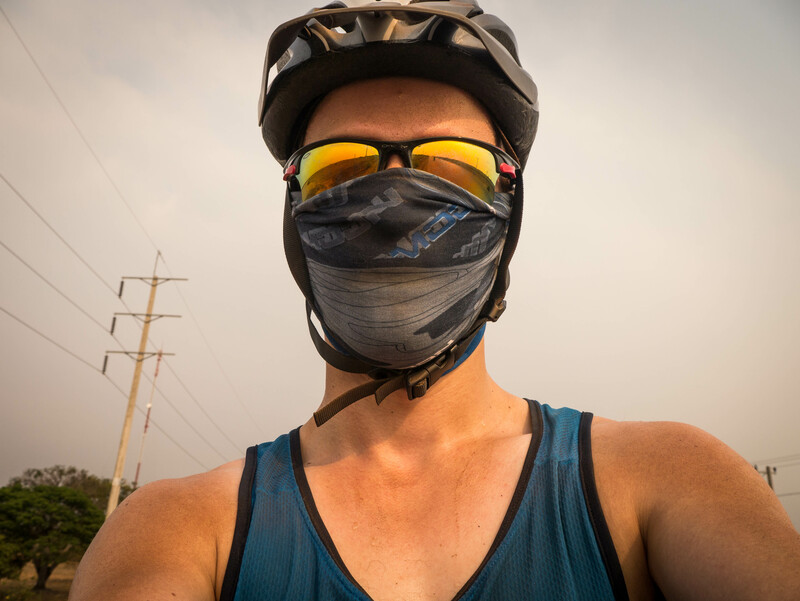 For our mothers’ sake, I have not included pictures of the 70km stretch of road from Sisophon to Battambang and instead just leave these pictures of us wearing appropriate safety gear. I have a nice layer of caked on dirt here. 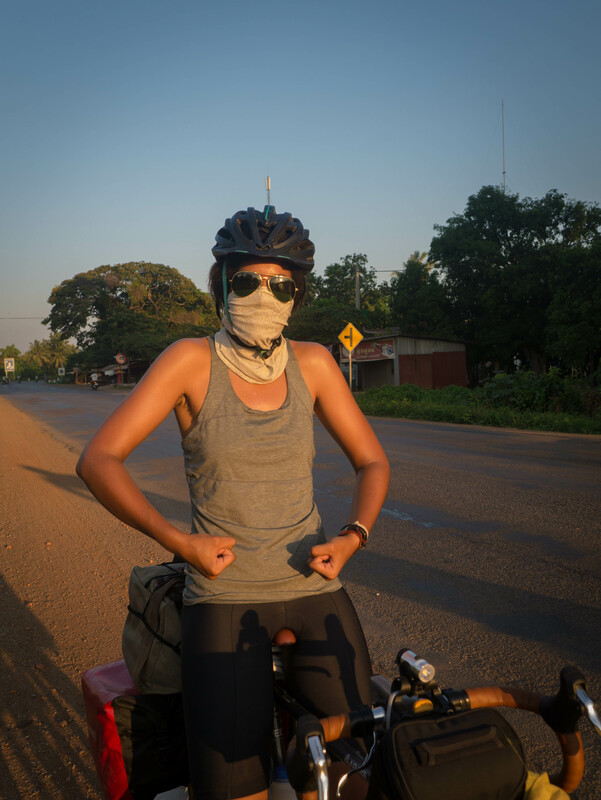 From Sisophon, we took the advice of a friend in Bangkok and spent a few days cycling off our route to visit Battambang. Battambang is a nice Khmer city that has largely escaped Cambodia’s tourism boom and retains some charm of French colonial influence. French architecture abound, laid-back atmosphere (more apparent now that we’ve reached Siem Reap), and very nice people. 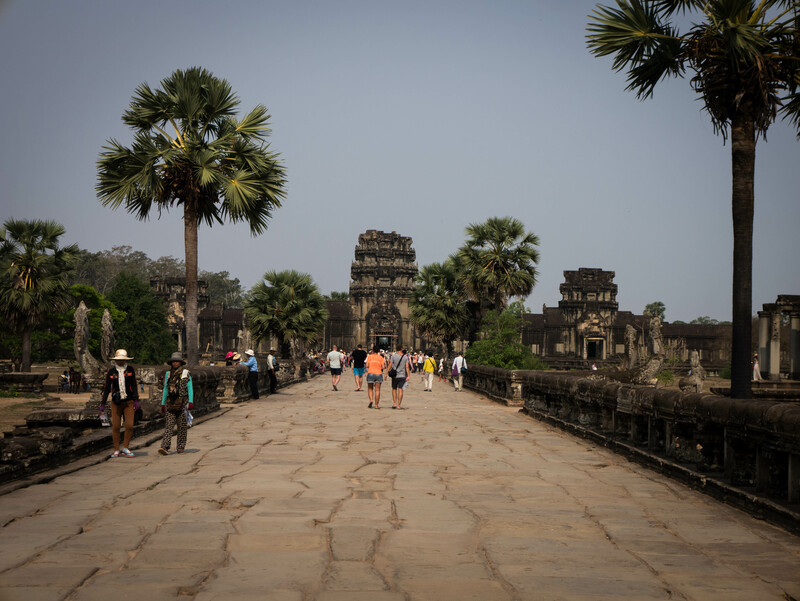 If it’s on your route when going through Cambodia, it comes highly suggested from us. 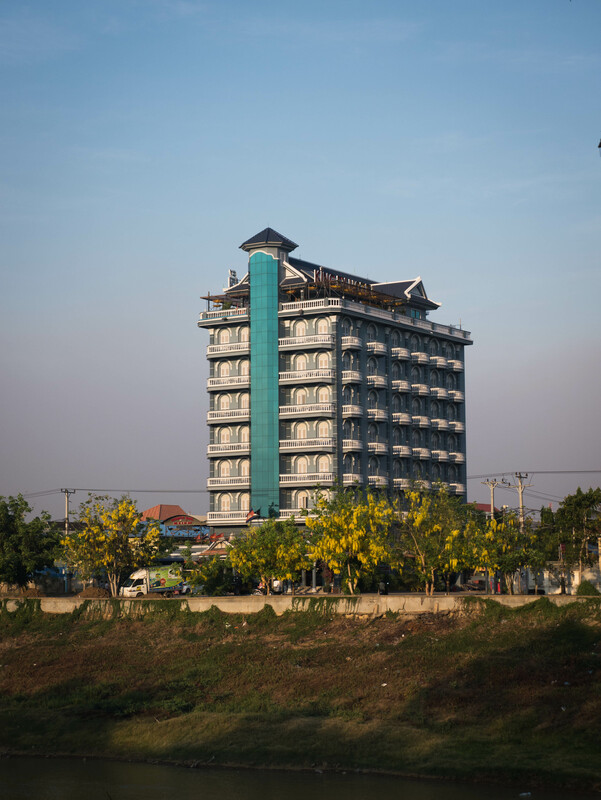 Hotel in Battambang along the nice riverwalk. 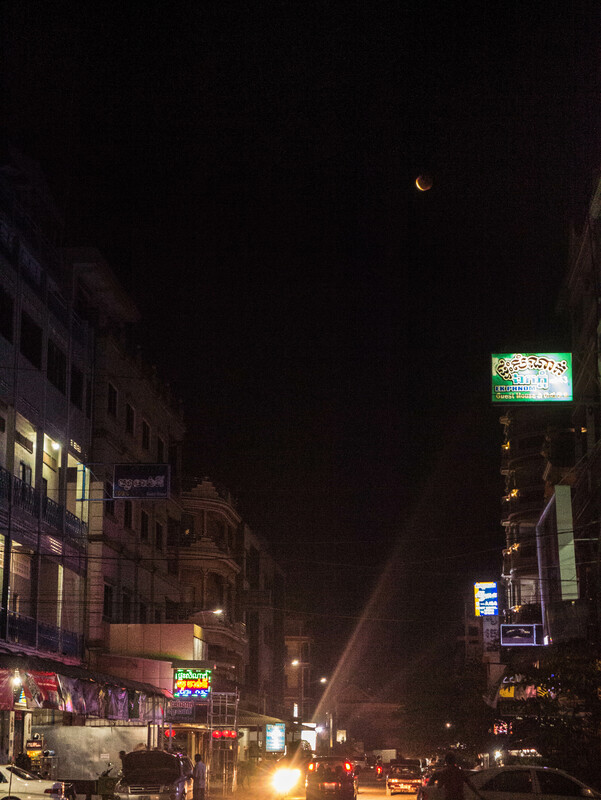 We caught the lunar eclipse one night. I tried rather unsuccessfully to catch it on camera. Poi Pet to Sisophon: Lots of traffic and only two lanes, but a nice, sealed and smooth road with a large shoulder. Sisophon to Battambang: This road is Route 5, which goes south of the lake to Phnom Penh. It is sealed, but not well in many places. Lots of traffic and no shoulder. Honking everywhere, dangerous high-speed passing. Sisophon to Kralanh: Same as Poi Pet to Sisophon. Large shoulder, two lane highway. Kralanh to Siem Reap: Alternates between rough and smooth, but is sealed most of the way at this point. Only 2-3 km of road work at this point. That brings us to Siem Reap and Angkor Wat. 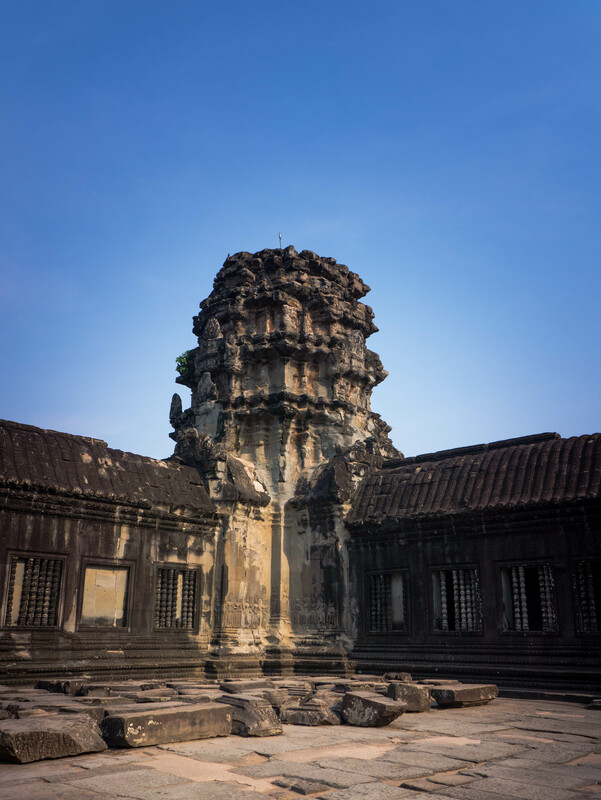 Siem Reap is a busy tourist city, the most modern that we have come across since Thailand, and certainly sticks out from the surrounding countryside. This means that there are convenience stores with refrigeration selling cold drinks, western chains like KFC, and other imported goods. As with Battambang, western restaurants are common here, are good quality, and surprisingly inexpensive. This was not the case in Thailand, for example, where finding a hamburger was tough. Sophie and I have had to adjust our diets for Cambodia. Without easily-obtained Gatorade and less meat avaliable, we have to be more conscious of getting these electrolytes and protein into our diet. We load up in big cities, usually with a big western meal. Oh! 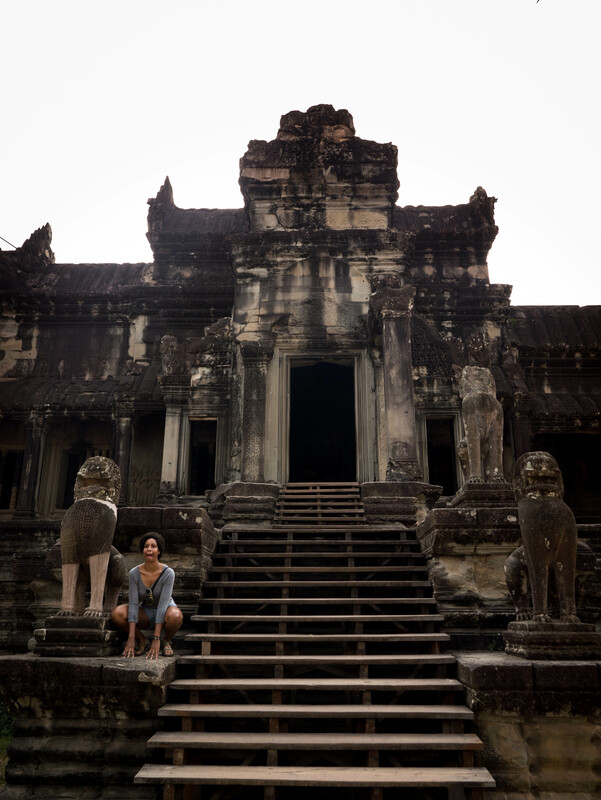 Angkor Wat! We visited this morning! It was nice. Here are some pictures, some more serious than others. Not shown in other pictures. 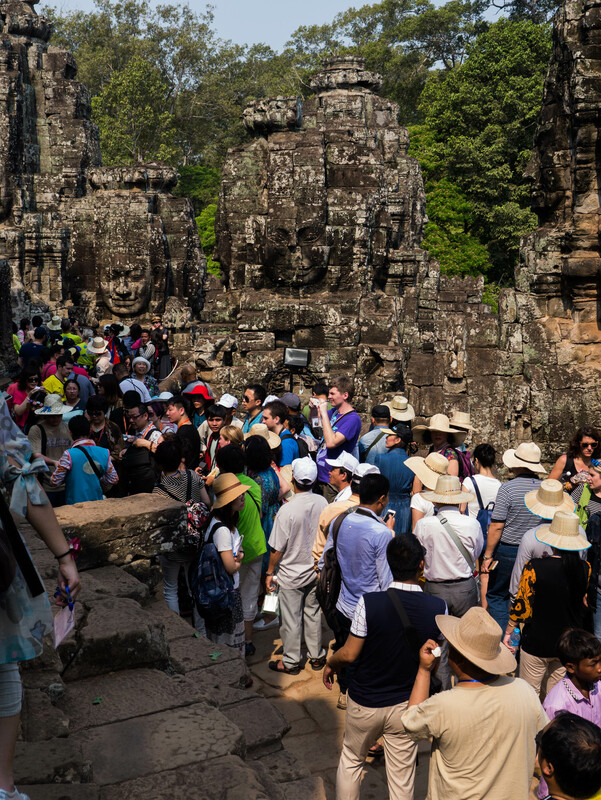 Crowds of tourists. And this is the LOW season. But to navigate from here we have to be conscious of our time. Sophie’s month-long Vietnam Visa doesn’t start until the 24th, so we have the privilege of taking our sweet time to cross Eastern Cambodia. We will need it, as this part of the trip has always been the most iffy to me in terms of what we might find. It’s going to be very rural. We know that much. At some point the road signs will switch from Khmer and English to Khmer and Chinese, as this is a main area of Chinese investment. 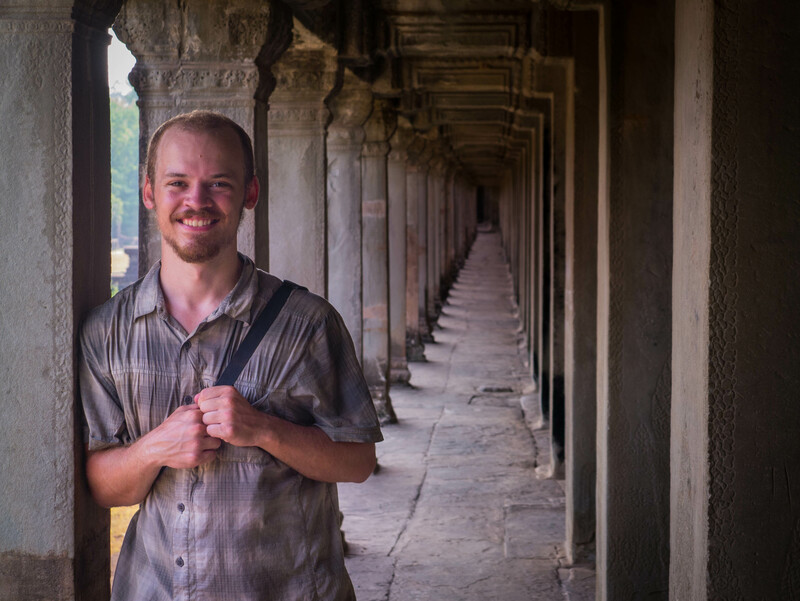 After we cross the Mekong, we will find gem mining towns, animist minority towns with little western contact, “improving” road conditions, slash-and-burn farming communities, and some more hidden temples. Refrigeration and A/C will be luxuries, and ice chests and merchants will be common. We may see a few landmine fields, but we will not be camping and we’ve been told that it is not a worry unless we go running off deep into the jungle. It was interesting to read your experience of the road condition Kralanh-Siam Reap (April ’15), since I’m going the same route on bicycle today (Dec ’15). It’s not the first time, in fact I’ve cycled around in Cam for 8 years now. However, last year the roads east of PP (Kompong Cham etc) were in apalling condition due to construction, and also around Siam Reap there were long stretches of bumps and dust.